A comprehensive understanding of story structure leads one to appreciate what is behind said, not what is seen. Separating out structure from writing leads to disaster. Failure to understand that the two work in concert to provide a message of intent to the audience fractures productions and removes responsibility of content from the creators. Story is structure. One of the most frustrating experiences for someone proficient in the Dramatica theory of story dwells in listening to professional writers speak with inaccuracy towards structure. They might refer to the “MacGuffin.” Or they might claim that one could remove all of structure and “still have a story.” Or worse: they could attempt to marginalize the efforts of a consultant who just the day before had helped them propel an idea into production. Regardless, the ego-driven machinations of voices less than secure with their own contributions perhaps are best left for the therapist’s couch. Unless, of course, those voices persist in denigrating the work of story consultants. The latest Scriptnotes Podcast, Making Things Better By Making Things Worse, offers yet another opportunity to defend the work of the consultant and to clarify the Dramatica approach to structure. One gets the sense that the two hosts—both staunchly critical of script consultants and screenwriting books in the past—would actually appreciate the perspective of narrative provided by Dramatica, if only they would take the time to understand the concepts. No page numbers. No step-by-step guarantee of success. And no formula driven cookie-cutter order of sequences to follow. Trying to say something with that character? Then you’re going to need this other character to challenge her and provide the necessary counterpoint to your thematic argument.2 Need the story to end a certain way? Then you’ll need to address some of these particular issues earlier rather than later.3 Dramatica completes the Author’s message by filling in the blind spots inherent within the intention for writing. The purpose is never to write a Dramatica story. Rather, the purpose is to write the Author’s story, with Dramatica filling in the blanks where necessary. Dramatica is not easy. The theory— and the application that supports it—does not make screenwriting or any other form of writing less complex. If anything, it requires more complexity from Authors in the presentation of their stories. The purpose of the Dramatica theory of story is not to make it easier to write a movie in 21 days or to provide an easy set of 15 beats for writers to follow. Dramatica’s sole function is to provide Authors the tools necessary to argue their points effectively and succintly. Structure is really about when things happen and when you reveal certain information. And I get frustrated by screenwriting textbooks because they always talk about structure as when in the sense of like on this page you’re supposed to do this, and on this page you’re supposed to do this, and hitting these page counts, when really it’s so much more subtle than that. Most of the books that August refer to identify those page numbers as 30, 60, 90 (or somewhere nearby). One could be cynical and assume that the gurus Mazin and August refer to seek easy-to-follow numbers in order to compensate for some deficiency of talent. Or one could see how the process of dividing a typical 120-page screenplay into four even movements naturally leads to those numbers. Either way the fact remains the same: every complete story consists of four Acts. The Dramatica theory of story makes no reference to page numbers. It does, however, provide an explanation as to why Acts exist, why there seem to be four of them in every complete narrative, and helps shed light on the order of the thematic material for each of these major movements. The theory also provides a clear distinction between when things happen within a story and when they reveal themselves to the Audience. It’s when are you giving a piece of information to the audience so that they have — it’s how are you dolling out the information to the audience to get the best sense of what your story is. The storyENCODING phase attaches specific instances and unique identifiers to what would otherwise be a cold and mechanical presentation. Stories with similar storyforms rely on this phase to place distance between them. The storyWEAVING phase finds the Author deciding on what to reveal and when. Starting with the end and working backwards may instill a level of apprehension or suspense, but it has no effect on the actual structure of the story. 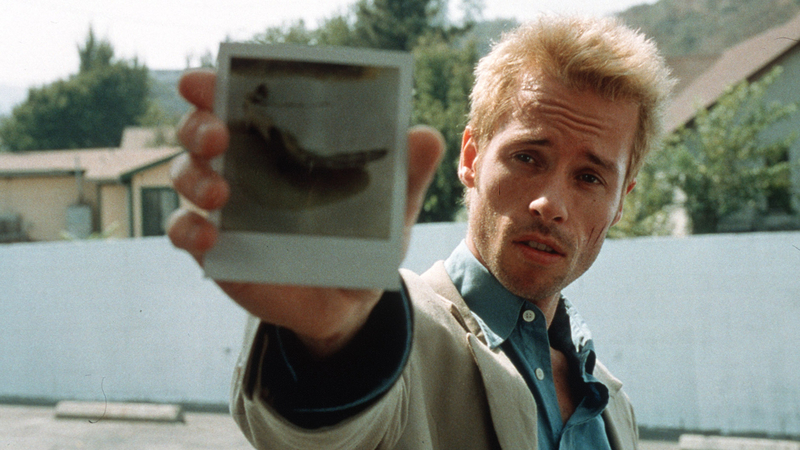 Unravel Christopher Nolan’s Memento into its original chronological order and the storyform would remain the same. It most certainly would not have been as effective, but the meaning of the story—the argument encoded within the storyform—would have been understood to be the same. The storyRECEPTION phase unfortunately relieves Authors of any remaining control over their story and thus, sits outside the purvey of this article. Suffice to say any number of intrusions, distractions or disruptions can contribute to the failed intent of a work. The Author can only write and hope that what they want to say will be heard and understood in the manner it was presented. Presumably August and Mazin produce their podcast to inspire and enlighten those legions of writers who dream of seeing their work on-screen. Why then would they continue to disseminate disinformation in regards to structure? In a pattern that seems to repeat itself without fail, I have now been a part of three separate productions that plead no contest to the story provided to them. Not one single note. The reason for this rests in the fact that I was able to help the individual writers5 involved craft what Dramatica refers to as a “complete story. ” By focusing the talent and passion towards a larger purpose, we left studio executives elated and thankful. This response owes much of its success towards the structure and understanding of narrative provided by Dramatica. In the end we all want a memorable and heart-warming story. A well-structured narrative, informed by the Dramatica theory of story, captures hearts and minds—leaving those on the receiving end wanting even more. Structure is not what happens when. Structure is why it all happens in the first place.